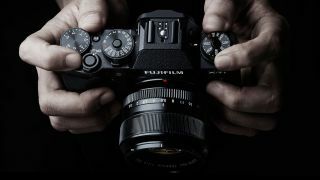 Camera makers often release firmware updates to fix problems or add minor enhancements, but Fuji has issued a v3.00 firmware update for its flagship X-T1 model which adds a whole raft of new features and functions – but we are going to have to wait until December 18th before it's released to the public. For more about this camera, read our full Fuji X-T1 review. Some of these enhancements are already available in Fuji's brand new X100T compact camera, so check out our Fuji X100T review too. You can visit the Techradar Camera Channel home page to see all the latest camera reviews and news. Here are the Fuji X-T1 firmware 3.00 update highlights – some of these are already built into the new Fuji X-T1 Graphite Edition, but the rest are new to both versions. So what (we hear you ask)? Who could possibly need a shutter speed that fast? The answer lies not with fast action (it's not designed for that) but shallow depth of field portraits in bright light, for example. Fuji makes a range of fast (wide-aperture) fixed focal length lenses which deliver beautiful 'bokeh' (the appearance of out-of-focus areas) in the background. The trouble is that you lose this if you have to close down the lens aperture in bright light, so the new, high shutter speeds allow you to keep shooting with the lens wide open, even in bright light. If you don't like the noise made by the shutter, you can change the shutter sound, reduce the volume or turn the sound off completely. The Program Shift mode is a great way to get the shutter speed or lens aperture you want without having to switch to shutter-priority or aperture-priority mode, but until now the slowest shutter speed setting was 1/4sec – the firmware update takes this right up to 4sec, which is ideal for night photography, dimly-lit interiors and low-light tripod shots in general. We liked the Classic Chrome look in our Fuji X100 T review, and now this film simulation mode comes to the X-T1. Where Fuji's Velvia film simulation produces rich, vibrant colors, this one give a more muted look reminiscent of vintage slide films. You can use it to add a subtly nostalgic, historic look to your pictures. Usually, the X-T1 will show you exactly how your images will look with your chosen image adjustments or effects applied, but some people might prefer the natural look of a regular DSLR's optical viewfinder – and that's just what the Natural Live View function is designed to provide. You can also adjust the color hue of the electronic viewfinder and rear LCD. Currently the X-T1 can shoot at 60fps and 30fps, but the update brings 50fps, 25fps and 24fps modes – 24fps gives a 'cinematic' look, while 50fps and 25fps are very important in PAL regions (e.g. Europe) because users won't have to convert frames rates any more. The update brings the ability to set the ISO before filming and you'll be able to adjust the shutter speed and aperture while recording. The X-T1 has an Instant AF mode (you press the AF-L) button during manual focusing, and the update enables the X-T1's phase detection AF for faster focusing. An "AF+MF" function brings 'seamless' manual focus override – you half-press the shutter release to focus normally, then turn the focus ring to make fine adjustments. And in Spot metering mode, you'll be able to link the AF point with the spot metering area. If you're the sort of person who keeps pressing buttons when you don't mean to, you'll like this one – Fuji has added a 'software lock' function to stop you doing this accidentally. Fuji has also released a new version of its dedicated HS-V5 software (which you have to pay for, alas), which lets you control the camera from a PC – this kind of 'tethered shooting' is popular with professional studio photographers. Fuji has made many changes and additions to the controls designed to make certain operations easier. There are too many to list here, but the Fuji website has the full list.